Do you like Disney Thanksgiving Day? Share it with your friends. 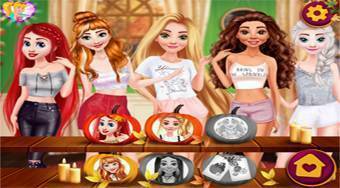 Help the five princesses choose the beautiful outfits for the Thanksgiving Thanksgiving.